The weather might be 80 degrees in California, but that won’t stop us from planning our future fall home renovations. We have already noticed articles popping up about color trend reports for Fall 2018 and we could not be more excited. 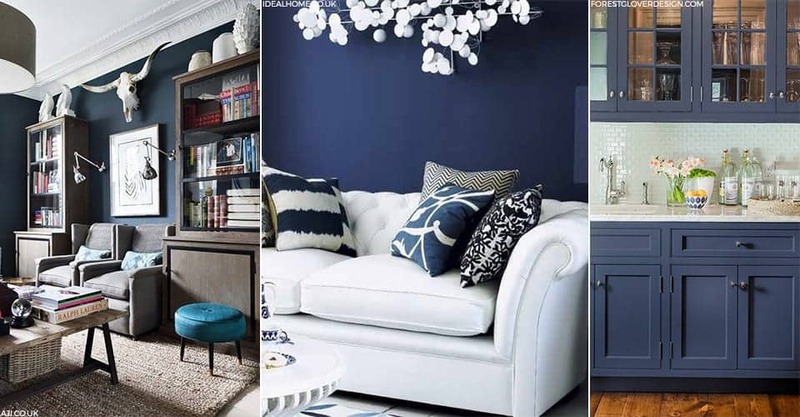 Dering Hall recently wrote an article, 2018 Fall Color Trends, which shared some of their top Farrow and Ball paint color picks for this upcoming Autumn and Winter seasons. After we saw this article, we became majorly inspired by these rich hues of greens, reds, and blues and started to envision them with some of our patterned tiles. We asked our 3 designers, Melinda, Matt and Elaine, to give us their top 4 picks for these fall colors. Lately, we have noticed a huge increase in kitchens and bathrooms using different shades of green as the primary colorway. 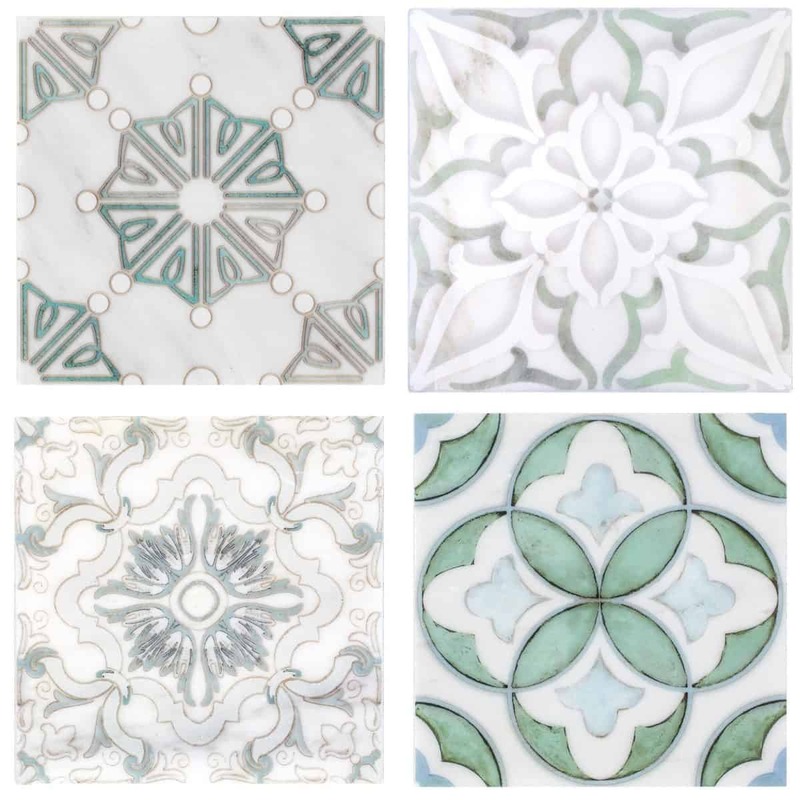 We love seeing the different ways designers incorporate green tones into a space, including areas like cabinetry, tile, wall art and flooring. 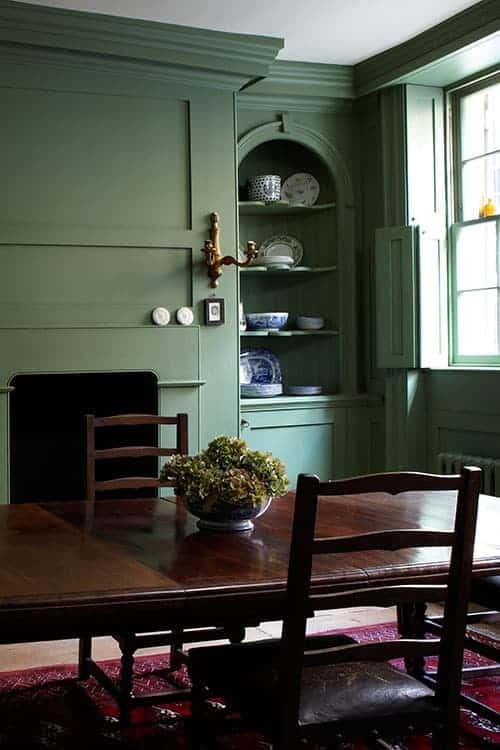 Dering Hall predicted that Farrow and Balls “Calke Green” paint color will be a big hit for this upcoming season and we can see why. This empowering yet subtle shade of green makes it the perfect color to mix with a bold patterned tile on carrara or limestone. 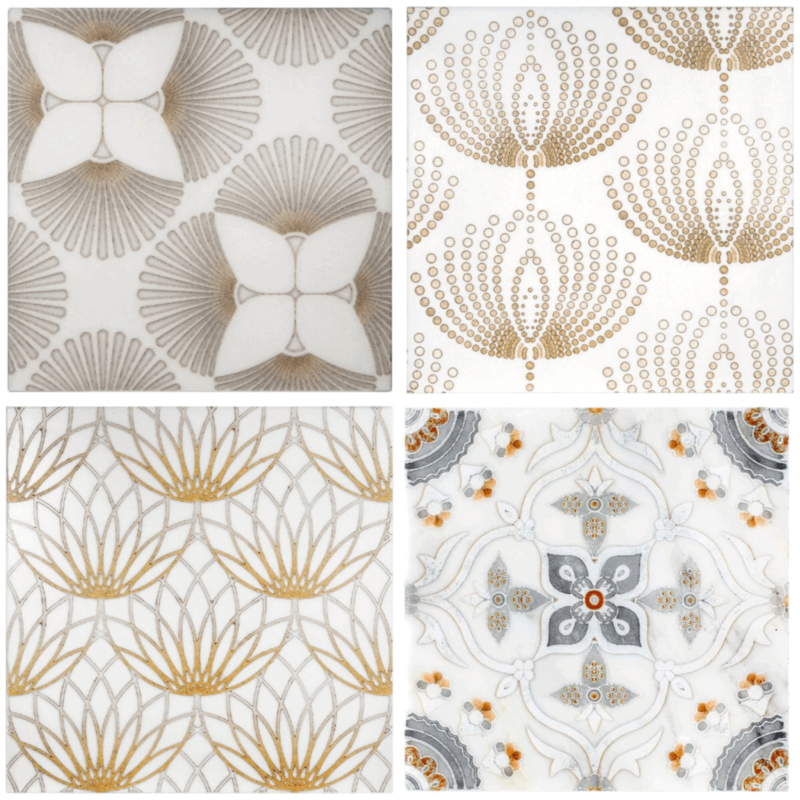 Check out the 4 patterns that founder and lead designer, Melinda, would pair with Calke Greene. 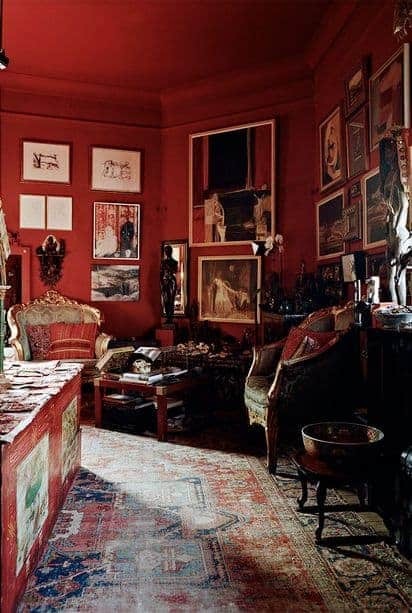 There is nothing quite like a deep, rich red in a room. This color will instantly attract house guests, while also leaving them feeling cozy and right at home. Farrow and Ball created the “Rectory Red” paint color and we think it could be paired with a variety of patterned tiles that are either modern or traditional. Find out what Melinda paired with this vibrant color. 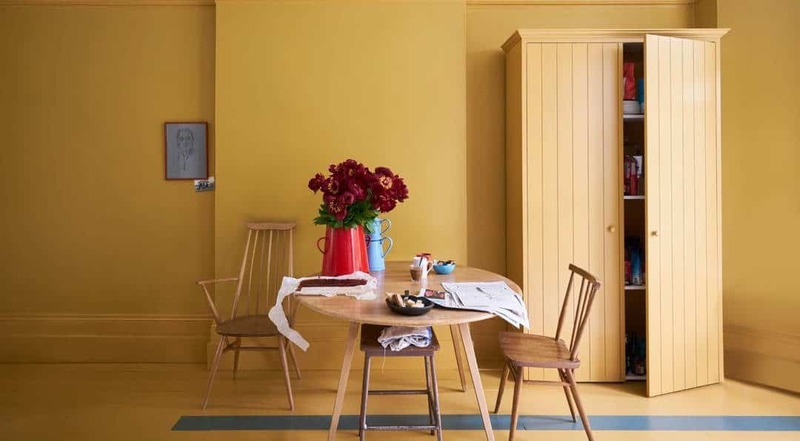 It is a color not many think to use, but with so many spaces covered in white and neutral colors, we have been seeing more designs use bold colors like Farrow and Ball’s “India Yellow”. This color packs a big punch, but when used with compatible textures and patterns, we absolutely love how India Yellow looks in a room. Matt, one of our lead designers, said that what he loves the most about this color tone is that is can be used in both contemporary and traditional spaces. See his picks below! Last but not least, we have a traditional shade of navy called “Drawing Room Blue”. 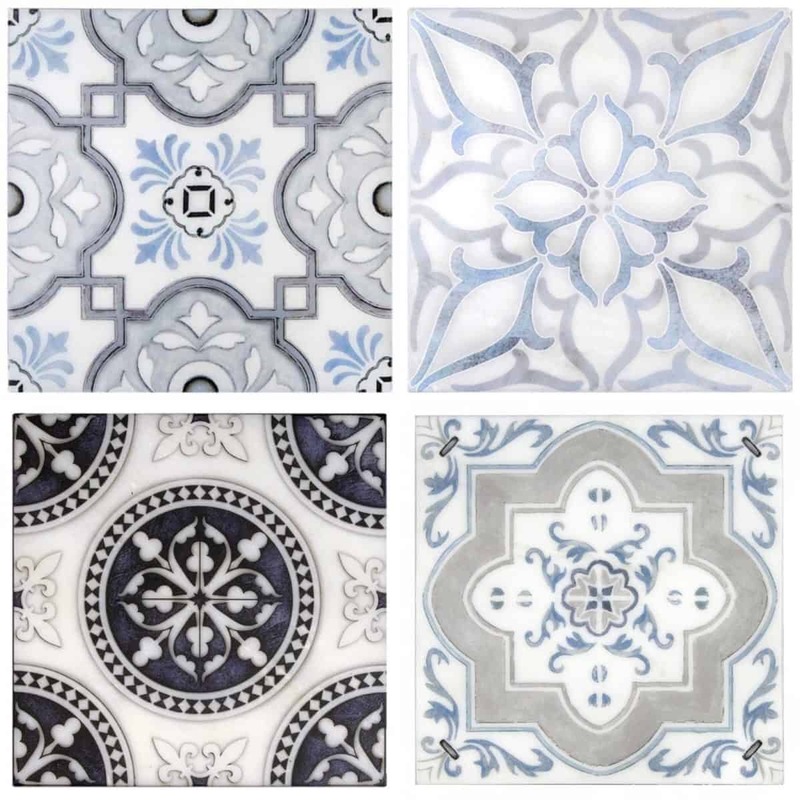 Navy blue is timeless color that can remain unique when you pair it with a bold, custom decorative tile. One of our lead designers, Elaine, said she had a hard time limiting her choices to only 4 because of the versatility of this shade! Keep scrolling to see her picks. Do you have any future fall renovation plans in the works? If so, we would love to hear your plans below! For more information on our made-to-order line head over to the main page here: StoneImpressions. 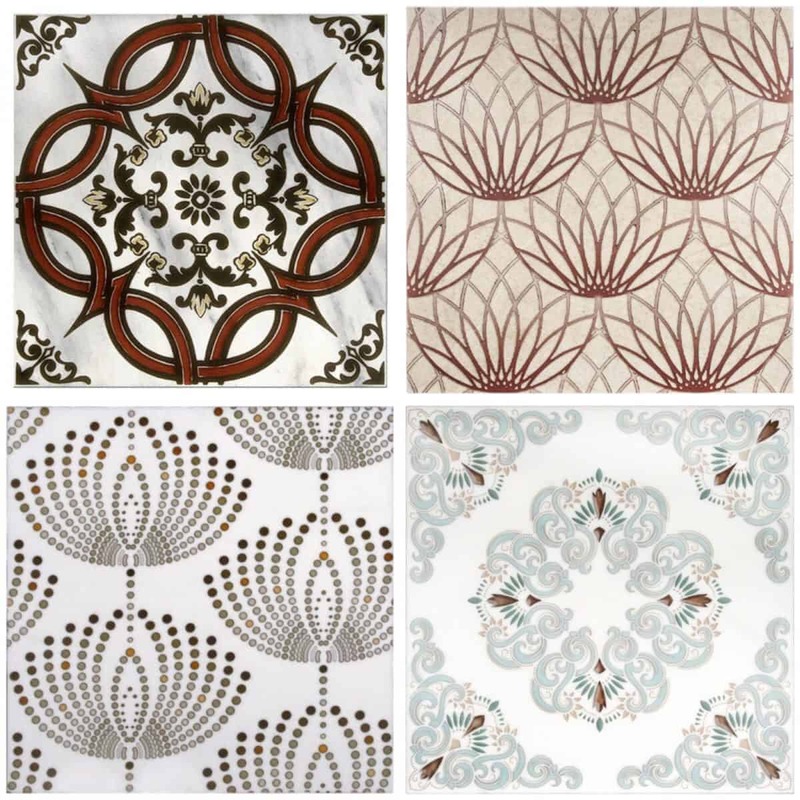 To see designs from our in-stock collection and to check out the new patterns we recently added, head over to Artisan Stone Tile. will apply it on my home!